As a landlord, if you are expecting an applicant to come up with an application fee, the first month’s rent, a security deposit and the last month’s rent just to get the keys to their rental, you may find it difficult to attract a good number of applicants. While making sure you are paid for the last month’s rent seems important and feels like an additional security deposit, it’s actually not. Those specially dedicated funds won’t protect you from unforeseen damage. Any money collected as “last month’s rent” can only be used toward rent – no portion can be used for repairing holes, broken fixtures, etc. As a result, if the tenant leaves the unit with the rent paid (that’s good), but what about lots of damage? You might find yourself without enough of a security deposit to cover it. You see…if given a choice, you will know immediately if the 12th month’s rent is paid on time allowing you time to act, but you won’t know if the unit is being left in good shape until your final inspection. Isn’t it best to prepare for the unknown? Plus, if you ever find yourself going before a judge to sue a tenant, it’s much easier showing unpaid rent then to argue a case for damage requiring additional documentation/proof to support of your version of events. See the Security Deposit Limits for your state and begin by collecting as much of a deposit as the law allows. Then – if your local rental market is prospering, go for last month’s rent. 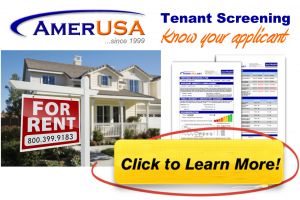 Why break a routine most tenants are used to? It would be easier to allow the tenant to pay the last month’s rent on their own when it’s actually due. Once in the groove, paying rent every month is expected and most tenants never break the routine (for those that have prepaid the last month will often forget and it’s something of a bonus when reminded at the end).